Another Hoosier native, Steve Reed grew up in Anderson, IN, and joined McAllister Kittell Reed in 1990 as a staff accountant, was promoted to supervisor in 2000, and was recently promoted to partner in 2011. Before joining MKR, Steve worked as a private accountant at another firm. Steve enjoys working at MKR because of the wonderful employees and relationships he has developed over two decades with the firm. His mission as partner is to prepare accurate and timely returns and help clients plan for any tax issues. Steve is a dedicated family man, married for over 30 years to his wife Marcie. Together, they have two wonderful children. 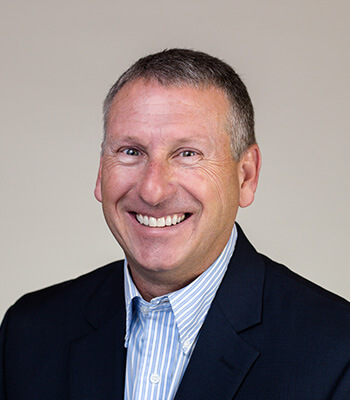 When he is not working tirelessly to ease his client’s tax woes, Steve enjoys golfing, traveling, watching NASCAR and volunteering for Freedom International Ministries, a nonprofit based in the Dominican Republic, of which he is the treasurer. Steve loves working with his clients and says his favorite aspect is getting to know them and their company on a personal level. His work is more than just business; it is working with clients as if they were family.